Please scroll down to see images of the 1960s Raw Silk Shift Dress modeled and in greater detail. Colors: Light chocolate with caramel colored lining. Closure: Center back zipper with a single metal hook-and-eye closure. The hook-and-eye are covered by a fabric bow when worn (see images below). At the bottom right of the back zipper there is a .5" bit of gathered silk. It's a very minor detail (which is shown in one of the images below). The dress is fully lined. A very simple number that can easily be dressed up or down, this dress is incredibly versatile. 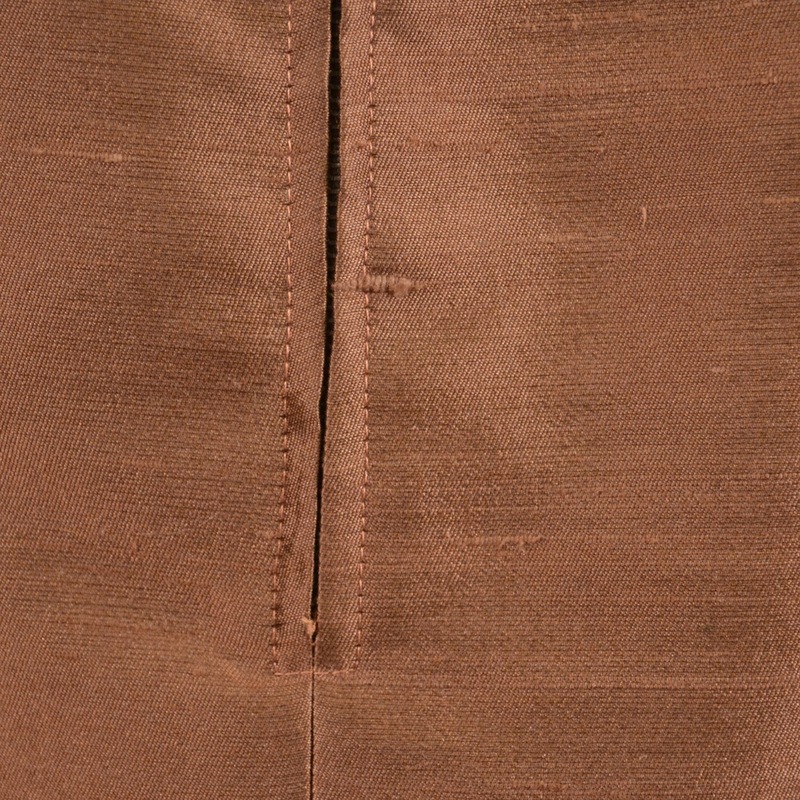 Largest bit of gathered silk, located at the bottom of the back zipper.